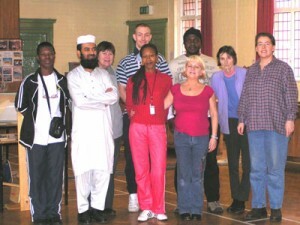 The aim of St John’s Centre is to enrich the quality of life for people living in Old Trafford – especially for those who are marginalised and disadvantaged in any way. We enable people to work together with local authorities, voluntary and other organisations, in a common effort to increase inclusion and cohesion. In this way the community are better able to meet their needs and to participate more fully in society. The Centre promotes the advancement of education, training or retraining based on the particular needs of this community, and provides facilities in the interests of social welfare for recreation and leisure.